Complete with all the DLC and a physical release to boot. Indie stealth hit, Aragami, is sneaking its way onto Nintendo Switch to surprise players with both a digital and physical release this fall. 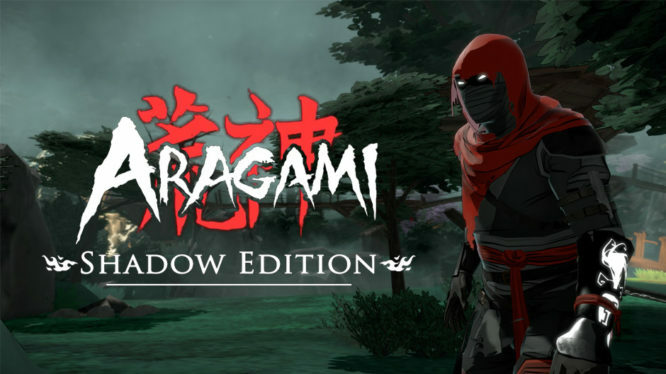 Publisher Merge Games is bringing an updated version of the game to Switch called, “Aragami: Shadow Edition,” which packages the base game with every bit of DLC. This includes the prequel expansion, Nightfall, which adds four new chapters and two additional playable characters to the game. Aragmi: Shadow Edition will also join the ever-expanding list of cross-play games on the Switch with full two-player online co-op with PC and Xbox One. Aragami takes inspiration from games like Tenchu, Metal Gear Solid and Dishonored, with an emphasis on really challenging players. The game offers two ways to play: Be as stealthy as possible and reach your target undetected as a Ghost or destroy everyone and everything in your path as a Demon. Of course, you could always opt for a mix of the two, as Aragami doesn’t penalise players for switching up their playstyle along the way. Aragami casts players as a shadow-manipulating, undead assassin. You’ll need to harness the power of the darkness by teleporting through shadows, generating new weapons and summoning shadow beasts to battle an army of mystical light-wielding warriors.